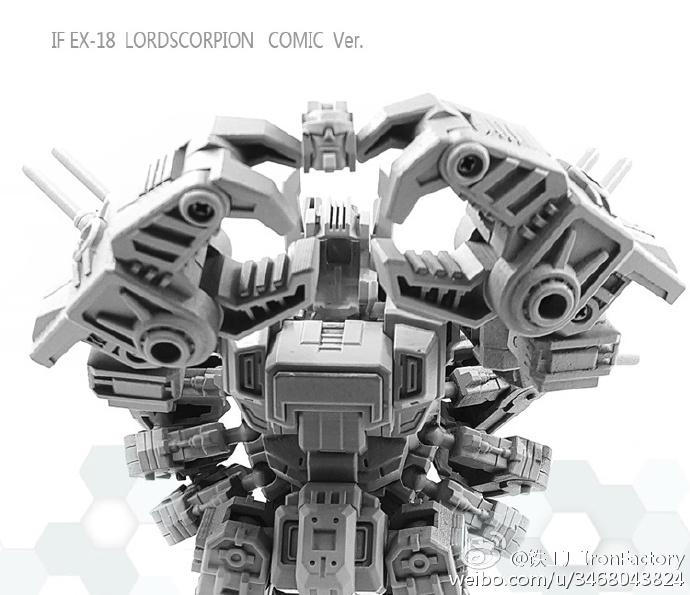 Iron Factory has revealed on their Weibo page the next entry in their toy line will be IF EX-18 LordScorpion, a comic style homage of Generation 1 Scorpnok. 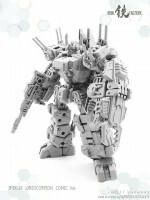 Approximately Voyager size, LordScorpion will be the biggest figure Iron Factory has planned to produce so far. 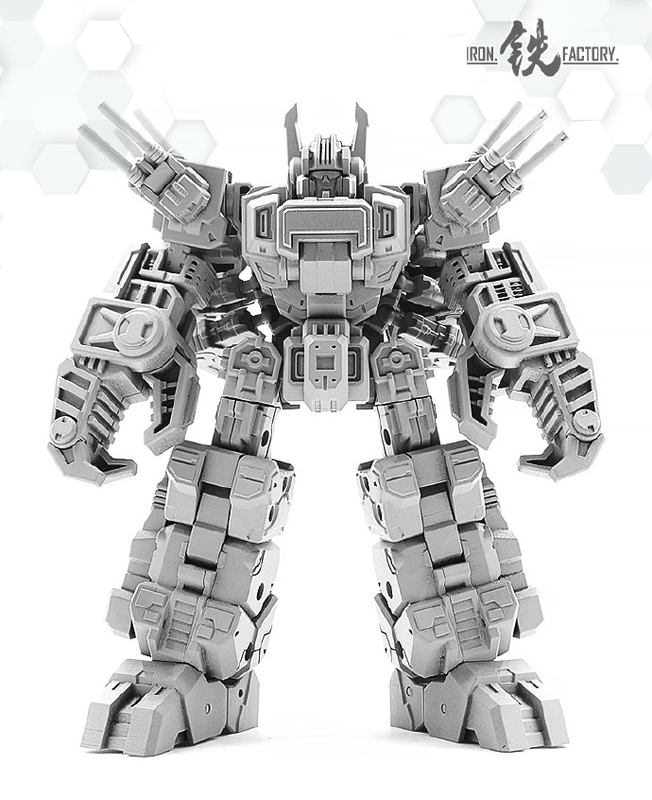 This figure will have most of the articulation expected from Iron factory, but they went on to specify that its elbow joint will be able to move in all directions. The abdomen section will be able to bend as well. 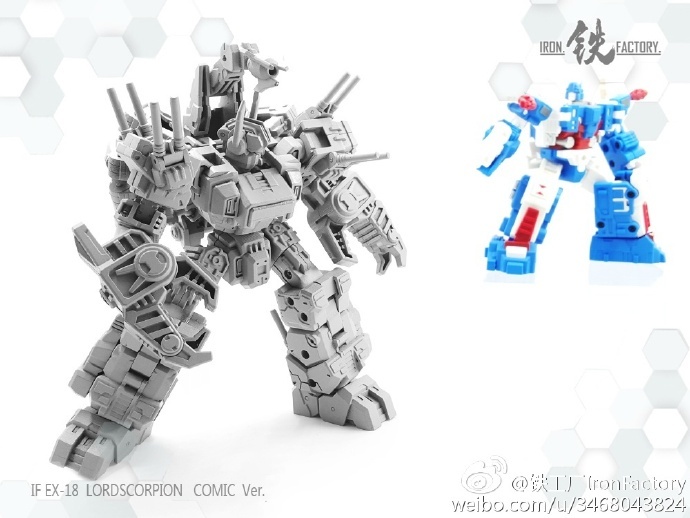 LordScorpion features transformation into scorpion mode, base mode, and robot mode with its 1-cm sized headmaster being transformable as well. No pricing or release date have been announced yet, but until then check out the full images and let us know your thoughts on Iron Factory’s iteration on Scorpnok. Now that's a fun review!!! Wrote a review on this guy. This review was done on the back of giving good bloke @EvoChanger on twitter some info on a toy he’s interested in. Check out his video reviews at his youtube channel. Like a good chunk of the TF fandom, I dabble in 3rd Party Transformers, i.e. Intellectual Property violating toys made by companies that have no association with Hasbro or Takara-Tomy. They come in many varieties, including but not limited to knock-offs of Hasbro/Takara toys, original designs for characters, knock-offs of other companies desi9gns and so forth. They used to be a contentious subject, but they’ve become far more accepted in recent years, usually because these companies will do things like making toys for characters who haven’t had any easily obtainable versions for years. 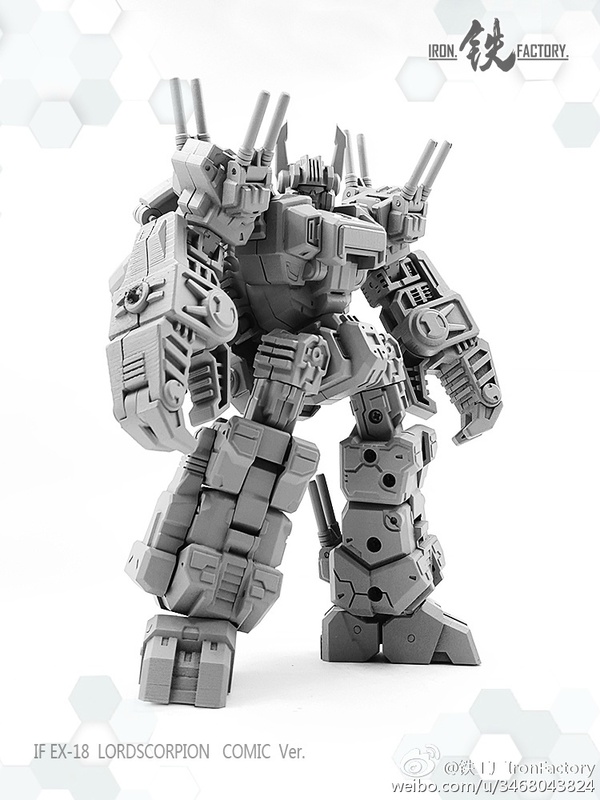 Like this helping from the Legends, size class focused company Iron Factory. 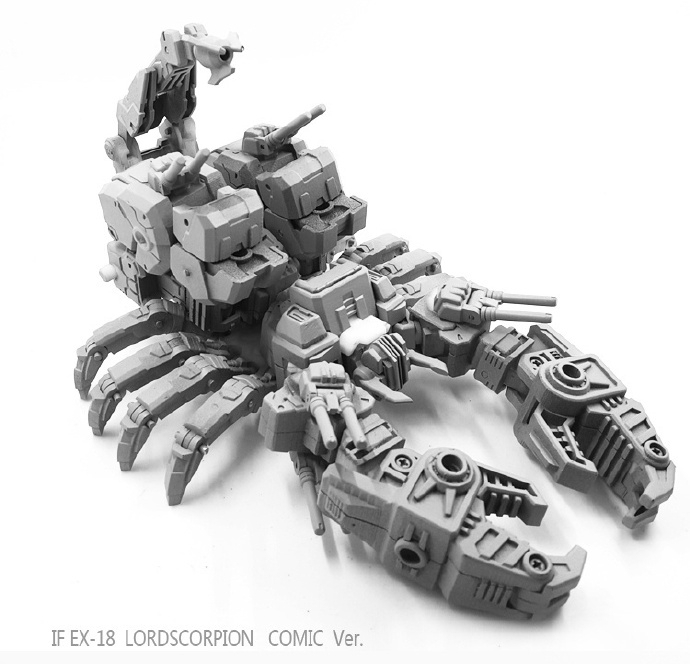 Lord Scorpion, aka Generation 1 Scorponok. Scorponok, the city bot and headmaster is one of those characters I’ve wanted a toy of for a while. However, since his one official toy is massive, rare, and expensive even if broken, I never thought I’d get one. There’s the Energon version who is similar, but the aesthetic never really worked for me in that series save for a few toys. 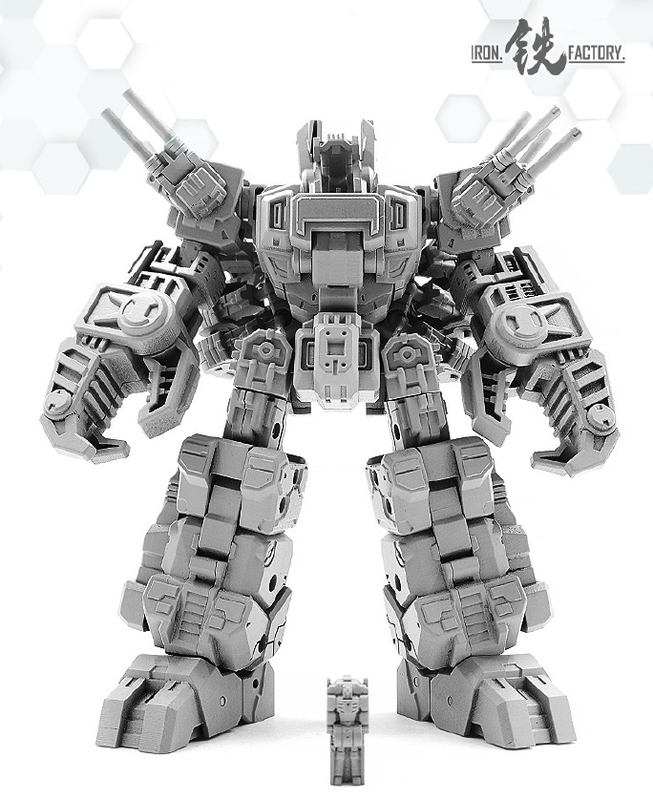 There is the rumoured Titan class coming from Hasbro sometime during the War for Cybertron, but if true that thing will be way too massive to easily play with. Won’t have that problem with Lord Scorpion though, as this guy is just a bit bigger than a Hasbro deluxe, as seen here with my spare Titan Returns Quake body with the Scorponok head you get with Titans Return Grotusque I had as a stand-in. In terms of quality, Lord Scorpion is leaps and bounds about a deluxe, as he should be considering he regularly goes for £65 or more in most places. I got him for £53 and the build quality is fantastic. He has pretty much everything articulated, including waist, ankles, biceps and so on. The turrets can even swivel. Hell, the only thing that he can’t do is swivel his wrists, but they can bend inwards in his two main modes. Hell, his hand-claws even have individual articulated fingers, similar to Reveal the Shield Lugnut actually. 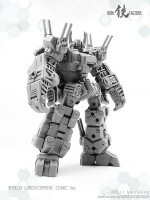 Sculpting and colours wise this guy is based on Scorponok’s first IDW comic appearance and the amount of details Iron Factory has put in is quite staggering. I’ve seen masterpiece level toys with less detailing. Admittedly this design won’t be for everyone, but in bot mode this guy is gorgeous. It’s nice to have a really well done, easily playable version of the character in my hand. Mainly because other, more recent Scorponoks haven’t scratched the itch. Lord Scorpion doesn’t come with much in the way of accessories. He includes one relatively large gun, and a shield, the gun can only be securely held in his right hand as its designed to fit in a groove in it though it’s possible to simply have his fingers grip it in his left hand. The shield can be pegged on either arm and includes pincher that actually moves. So essentially, you’re putting a pincer on his pincer so he can have triple pinching power. Guy is invaluable on St Patrick’s Day. 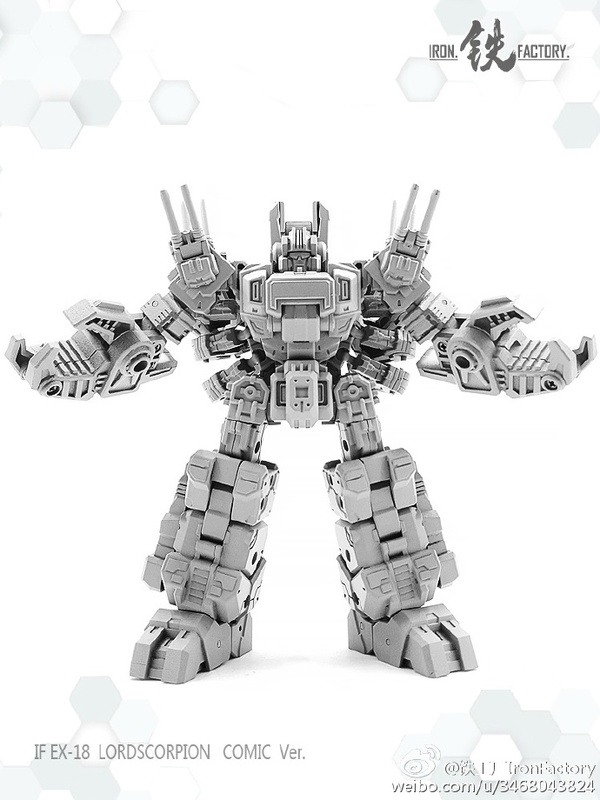 His third accessory is a little round cup-like piece that slots into his hand and allows him to hold most other transformer weapons that fit in a 5MM hole. Along with the gun turrets and deployable tail, this makes him look ready to kick the absolutely slag out of things. Of course, if you know anything about Scorponok, you know that not only is he a triple changing city bot, he is also a headmaster, Lord Zarak. 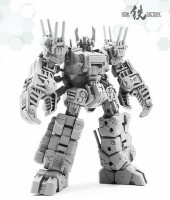 Or since this is IDW Scorponok, I guess Abraham Dante? Anyway, because of this Lord Scorpion’s excellent head sculpt as turns into what is frankly, the smallest bloody headmaster I have seen in my life. The thing is just barely two centimetres, or less than an inch tall. Transforming him to Scorpion mode is relatively simple but satisfying. It’s more complex than say your average voyager toy, kinda of like a mini-masterpiece in places. And the results for scorpion mode are brilliant. I love this mode. Sure if you leave the headmaster in his robot mode face is looking up constantly, but the original toy had it riding in a little seat, so I like this. Amazingly he still has great articulation. His arms still remain all their movement and the tail has a decent amount too. But each one of the eight legs are also fully articulated and can amazingly hold him up with no issues, even on just a few, really lets you get some good scuttling poses in. There are two things I have a problem with this mode. Towards the rear of the scorpion, you see the two silver pieces that come from the legs of the robot mode? In order to transform him between modes, you have to remove these pieces. Yep, it’s parts-forming. 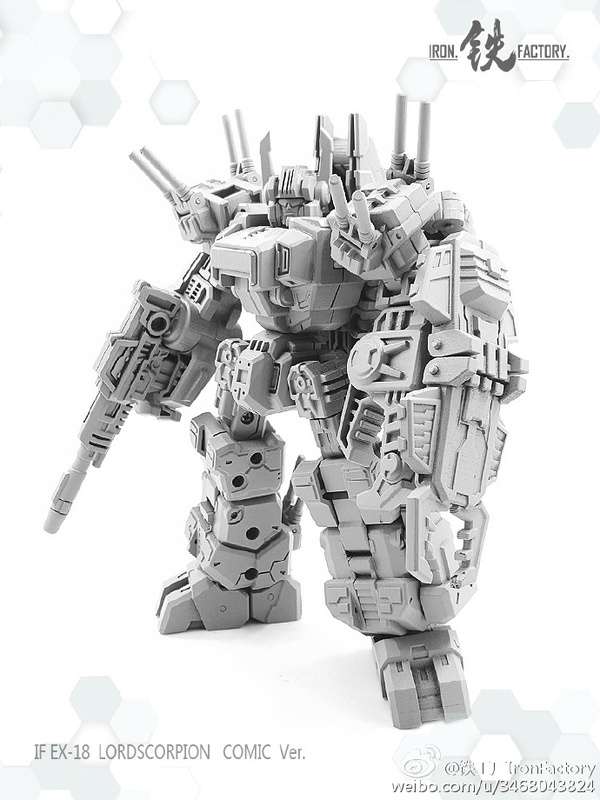 This is one of the few things I don’t tend to like about Iron Factory toys. 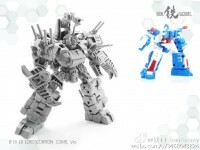 They had a similar thing with their IDW Overlord with his shin coverings/base mode ramps. Except those had nowhere to go in the alt mode., so at least these ones can go somewhere in all modes. However, the gun has nowhere to store in scorpion mode, while the shield handily pegs in underneath. 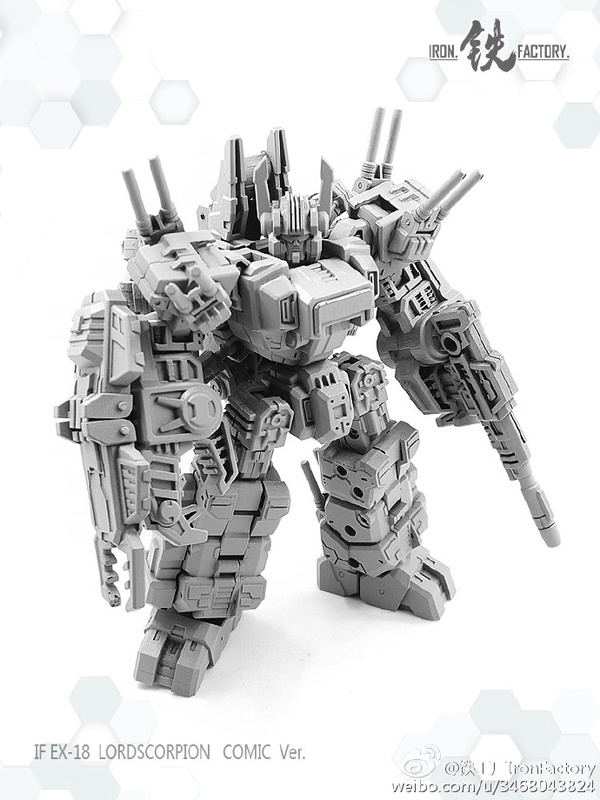 I like good weapons storage, so this turns me off a little, but considering the size and complexity of the rest of the toy, it’s understandable. And now we come to the worst mode of all base Transformers, in my opinion. The base mode itself. It’s as successful base mode as any I guess, just smaller. I’ve never really liked these, so I don’t have much to say about it aside from that it looks like a good representation of the one from the G1 toy. At least you can store all the accessories in this mode. So overall, I’d recommend Lord Scorpion. 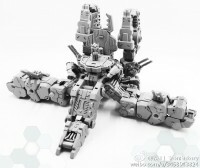 While his third mode is a typically lacking base mode, the other two make up for it. Combine that with his great detailing, building quality, and articulation, this makes him the guy to beat for Scorponok toys going forward. Have a Grotusque. But I like the default horns on this guy. Pointy. Can't really go wrong either way. Congrats, you've got a great fig on the way! If you can, pick up a titans return grotesque with the scorponok head and the shapeways adapter– very worth it. Ordered myself one as as a payday treat. From a chinese eBay seller. TIME TO SPIN THE WHEEL. One of the coolest Iron Factory figs by far imo. Pic with the visor down(up) if anyone was wondering how that looks. Yes, to around Ultra-Leader class. 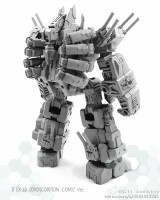 Trying to decide whether I should get this or the MM SD Scorponok for my Legends collection. I'm leaning towards the latter but maybe I should get both. Wow, that's awesome!!! I'm glad you didn't let IronMagnus discourage you from trying. I might have to try this myself. How much does the Grotesque go for? You're going to be surprised at how easy the mod is and how close the colors are. It's just perfect. 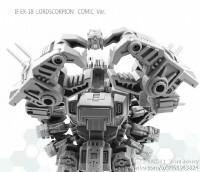 Info is here: Minor/Repaint: – Lord Scorpion to TITANMASTER SCORPONOK! SO EASY! I have this and am not terribly in love with it. if anyone is looking for one, msg me. So now I wanna see someone adapt this to incorporate that Titan's Return Scorponok head that comes with Grotusque. 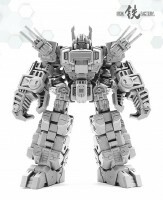 Also, I wanna see someone upsize this to face off with Toyworld's Infinitor.